Our broadcast schedule will include a series of 14 newly commissioned radio works, live studio shows, pre-recorded features and 12 free Live-to-Air performances. As in previous editions the majority of the programme will be made up from selections submitted to an international open call for sound art and radio works. Please note that the deadline for our open call has now passed. Our website is currently under construction. Further information will be added in the weeks prior to broadcast. Check back for updates, follow us on social media or sign up to our mailing list to be kept up to date on the latest news. Radiophrenia first began broadcasting in April 2015 with subsequent editions in 2016 and 2017. The websites from our previous festivals have been archived below. 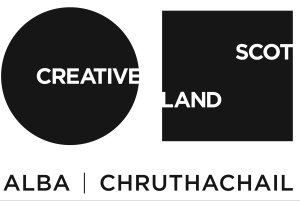 The station is managed by Mark Vernon and Barry Burns and is funded through Creative Scotland’s Open Project Funding with additional support from CCA Glasgow and Platform.